Found in Palm Beach County, Boynton Beach has a population of about 73,000 residents. It's a part of the Miami Metro area, which has a population of close to 6 million residents. Along with the many residents found throughout the area, many tourists show up every year for events, attractions and to enjoy the excellent weather. The area can become very congested with drivers from all over the world. With Miami attracting not only global tourists, but also home buyers from all over the world, the area has a large mix of driving styles. The Miami Metro area has also been listed as one of the areas with the least courteous drivers. While Boynton Beach isn't Miami, it's very close to it. If law enforcement agencies in the Boynton Beach area didn't do their job and issue traffic tickets, more accidents would happen every year. Just over 127,000 total traffic tickets were issues in Palm Beach County in 2015. Nearly 67,000 of those tickets were for speeding and another 7,631 were issues for careless driving. Out of all the ticket issues, a judge dismissed about 15%. Your chances of getting a ticket dismissed are not in your favor. With so many tickets handed out every year, it's a very real possibility of having your driver's license suspended. If you receive too many violations in Boynton Beach, you may lose your license for 30 days, 90 days or an entire year. Each traffic violation adds points to your license. When you accumulate too many points in a specific amount of time, you may end up with a suspended driver's license. If your license is suspended and you get caught driving, you may spend up to 60 days in jail and have to pay up to $500 in fines. This is on top of the fines and fees you will have to pay to get your license reinstated after serving your suspension. Considering it's possible to receive more than one traffic ticket in the same stop, you may accumulate points faster than you might think. It only takes a few tickets to get 12 points and you can actually get 24 points with 4 to 8 traffic violations. 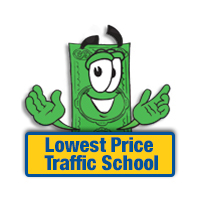 Basic Driver Improvement School, also known as traffic school, may help you avoid points on your license. If you get caught speeding, you may be looking at three to six points, which doesn't leave much room for error the rest of the year. However, if you enroll in online traffic school in Boynton Beach and you complete the course, you can avoid the points from the traffic violation. First, you need to plead no contest or guilty to the violation and pay the ticket. Then, find out if you’re eligible for traffic school from the clerk of the county. If you're eligible, enroll in online traffic school and complete the Basic Driver Improvement Course. Finally, you will need to take your certificate of completion to the clerk of the court showing you successfully completed the course. Traffic school eligibility can be checked with the clerk of the court. However, if you haven't taken the course in the past 12 months and you haven't completed it at least 5 times in your lifetime, you should be eligible. If you find out you're eligible, make sure you enroll in time and complete the course. All traffic violations issues by any law enforcement agency in Boynton Beach are handled by the Palm Beach County Clerk of the Court. The Clerk will handle payments and provide information about due dates, traffic school eligibility and other important information. 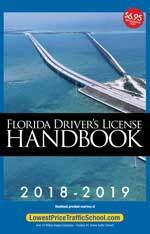 If you plan to use traffic school to avoid points on your license and keep your insurance rates from going up, notify the Clerk of the Court when you pay your traffic ticket. For more information about the Palm Beach County Clerk of the Court visit their website.